SELLER IS MOTIVATED TAKE A LOOK TODAYRemarkable One of a Kind Estate on almost 4 acres of total privacy with your own private road and gated solar powered driveway entrance. 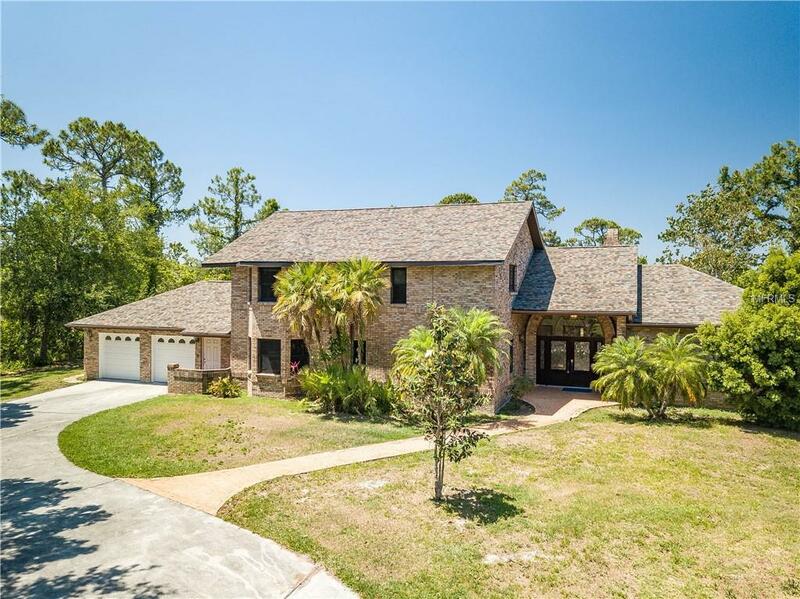 Located in the heart of the Space coast near Kennedy space center and surrounded by the Fox Lake nature preserve, this property is in harmony with nature but also close to everything. Both nature lovers and space enthusiast will appreciate the wild life that can be seen on the property or the rocket launches that can be viewed from the front yard. The excitement of the Orlando parks are also just a short car ride down the road, this property is a prime location for everything that Florida has to offer. This serene property includes a private fishing pond with dock and a 2 car garage with four extra parking spaces for car/boat/RV. The house has a brand new roof, newly remodeled upstairs flooring and staircase, and a remodeled kitchen with new cabinets and granite counter tops. The pool has a waterfall to add to the general ambience and every window has a beautiful view of nature. There is a large master bedroom and bathroom that has a sliding door out to a private deck. On the other side of the house are 2 screened-in porches one upstairs one down. 2 good sized bedrooms with a Jack and Jill bathroom and a large home office/homework area can be found on the second floor. The utility room with laundry chute is adjacent to the kitchen. The half bath in the garage has easy access to the swimming pool where you will also find a fire pit. Listing provided courtesy of Visulate Llc.